Yesterday, just a week after the Gobi race in China, Anna and I participated in the first Kilometre Vertical race in Saint Martin-Vésubie. The rules are simple; run up-hill on a 5 km distance and 1,150 m of elevation gain. The runners start every 30 seconds and the ranking is based on the time at the top of the hill. 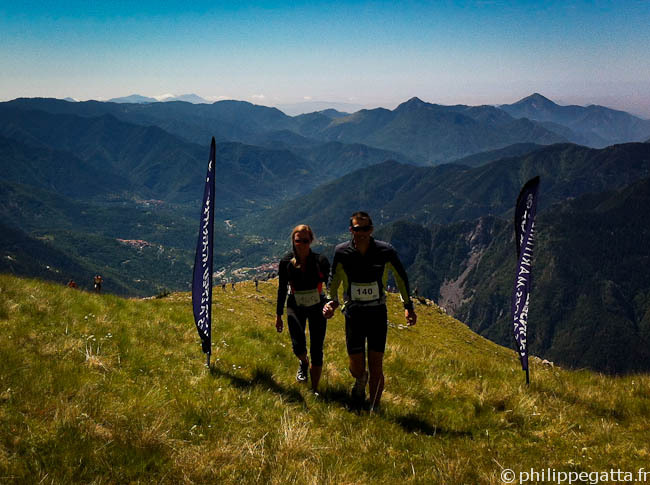 The start was in the village of Saint Martin-Vésubie at 975 m and the finish line was on the top of Cime de la Palu at 2,132 m.
We ran together and won the team category in 1h09m06s. Anna and I have been training on the Cime de la Palu for many years. Here is a 35 km Trail that we did a few years ago which has the same start as the Km Vertical and then continues on the crests around Berthemont-les-Bains. It was during this Trail that we took the photo that has been used in the race poster below. The Race was fun and very well organized. 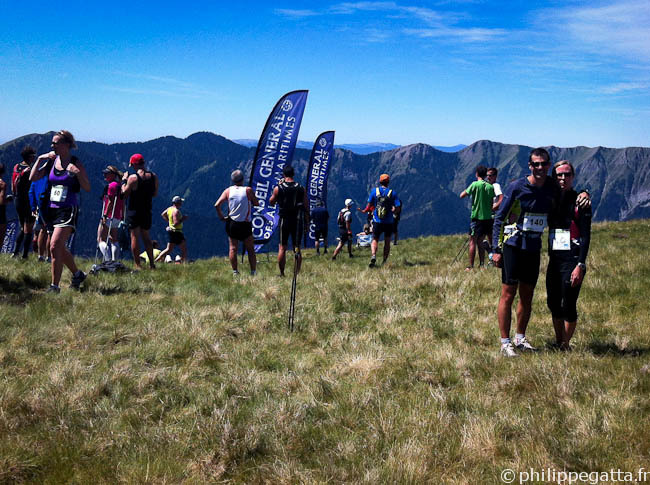 This race is part of a larger effort to create a Trail running resort in Saint Martin-Vésubie and the National Park of Mercantour. 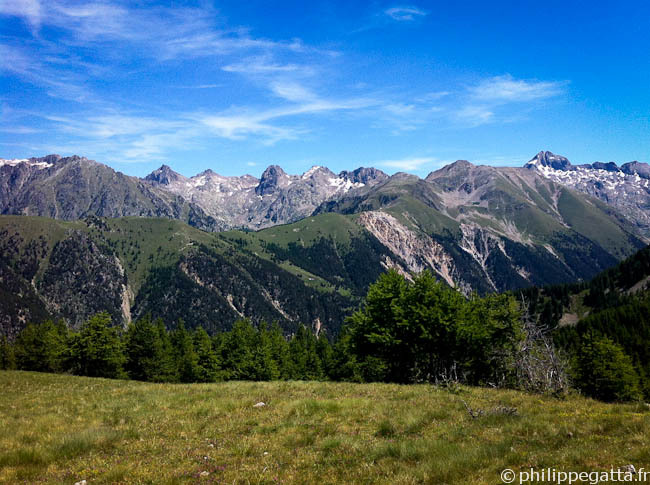 This entry was posted in Trail and tagged mercantour, running, saint martin vesubie, Trail, vesubie. Bookmark the permalink. Both comments and trackbacks are currently closed.